Installation: As VOLTA approaches its 10th year at Basel, what are your thoughts looking back? What initially inspired the founding of VOLTA? Uli Voges: In 1992, when I started in the gallery business there were only five art fairs in the world. It was very simple to see how a gallery had to progress in order to be able to exhibit at Paris and then Basel, the holy grail of fairs. In 2004 more galleries kept entering the art market. That year when all the galleries came together for Basel, we discovered a location, the Voltaplatz. At that time, no one did anything in Basel except for the Liste Art Fair, they were scared we were going to introduce something new. Did the name VOLTA come from the location in Basel? Uli Voges: Yes, exactly. The Voltahalle and the Voltaplatz, the names of actual geographical locations. But later we liked the name Alessandro Volta, the inventor of the measure of electricity, we like the vibrant sound and more importantly the name works pretty much in every language. We were that group of young galleries who were looking for just a way to create a [platform], a place where [underdeveloped] galleries could showcase art. Our comparison was always that Liste was a bit like a used house where all the youngsters could exhibit but Art Basel was like a five star luxury hotel. We wanted to create a boutique platform, very intimate, very individual. We started with a very small number of galleries, like 24 exhibitors. It was just the perfect timing and I think we did it quite well. The next year we had 48 galleries and then 64, and so on. Each year more galleries want to be a part of VOLTA. How do you maintain the integrity of an intimate environment? Uli Voges: For an art fair, 70 to 80 galleries is a good size; normally art fairs have about 200 exhibiting galleries. It’s a visual overkill. As a visitor you simply cannot process this influx of visual information in one visit. We grew quite fast and then we were approached to come up with a concept for New York. 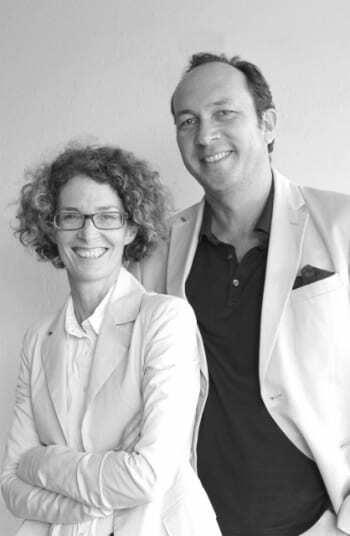 There were parallel art fairs in New York, so in 2008 Artistic Director Amanda Coulson and Christian De Angelis came up with the concept that we should have only have solo presentations in New York. Here again, we showcase a unique point of view which differentiates VOLTA in New York from other fairs. The visitor has a very intense studio visit with 70 artists in one venue. Even today, I think it was the best decision. There are over 170 art fairs around the world so obviously there is a need to create a unique point of sale. Even though MMPI produces VOLTA NY (and The Armory Show) we recognize your commitment to fostering the work of emerging artists has remained constant. Uli Voges: I would say we all are very, interested in discovering artists and exciting new artwork. If you go through the list of exhibitors at VOLTA NY, you notice that we make a difference between a gallerist and an art dealer. “Art dealer” is the term mostly used but a “gallerist,” in my opinion, is someone who really fosters the artist, he/she is the coach, the therapist, the best friend and the sub-collector. All the galleries exhibiting at VOLTA NY somehow fit that bill, these galleries clearly work closely with the artists even though they are startup galleries, you don’t see that very often. There is a certain point in the artist’s careers were they move on to larger galleries with more capital in order to produce larger shows, that is the circle of life. At VOLTA we mostly have these startup galleries, really discovering artists and working with those artists for years and years. How was your background in art journalism influence your vision as the Artistic Director? Amanda Coulson: We always said we wanted to be a place for discovery. I like to have contrast because I think it makes you look at the work in a different way. Now there are so many fairs, you need to differentiate yourself. When I am first placing the booths I really think about how the different artists in a certain section will relate to each other. From a curatorial standpoint I like to create a dialogue between the booths. How does VOLTA define the “emerging” artist? Amanda Coulson: When we consider emerging artists we not only consider young artists but also want to give artists from the 70’s or 80’s recognition that we feel they deserve. Made in Los Angeles, Installation is always working to create a bridge between Los Angeles and New York. Amanda Coulson: We have to build bridges and that is what fairs are for; to allow galleries to reach audiences that they might not otherwise reach and to connect with their colleagues. We are very excited to cover the fair because of this personal stamp, what are you looking forward to most at VOLTA NY? Uli Voges: Personally I want to be surprised. Every year there are bold presentations and artists doing site-specific installations that you would simply not expect in an art fair. I always say that a good art fair is a good art exhibition as well. There is no reason why it shouldn’t be. In New York it always happens, even if you know the artist and what he brings, I am always looking for the invention for this tiny bit of new thing I haven’t seen before. VOLTA always, always surprises me.  Archived in Arts + Sciences and tagged Amanda Coulson, Founder, MMPI, The Armory Show, Uli Voges, VOLTA NY. Bookmark the permalink.